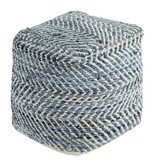 Item Description: This darling pouf is queen of the blue jeans. 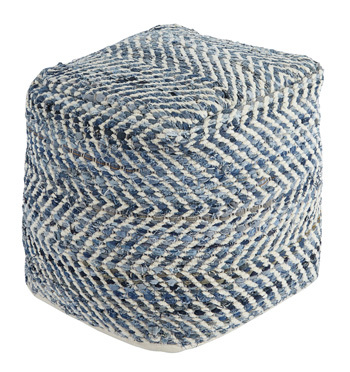 Woven from strips of denim, the square shape will be a favorite go-to seat or ottoman. It’s also sturdy enough to hold a serving tray. 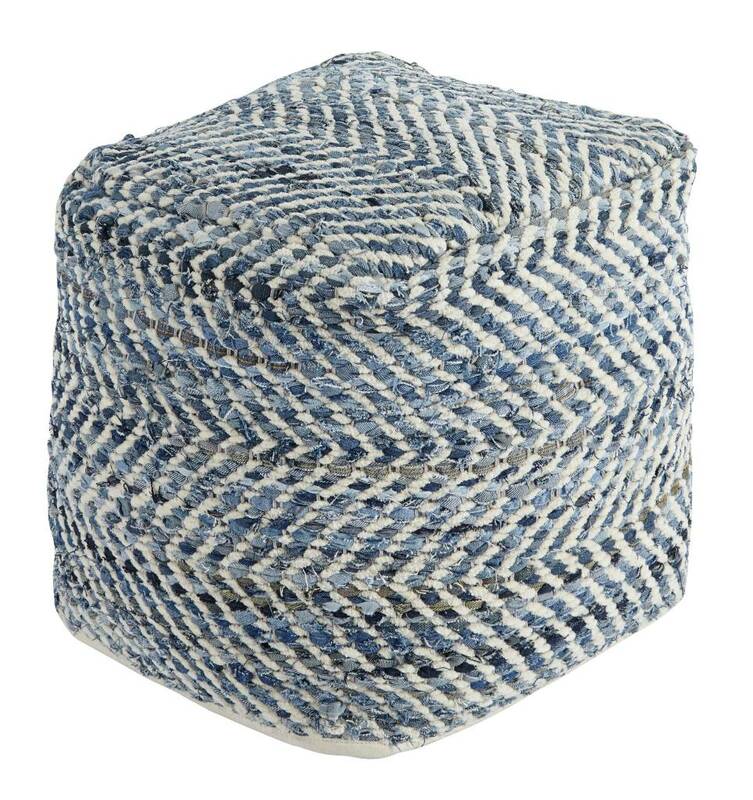 Series Features: Square Hand Made Pouf. Made of Recycled Denim. Shell with zipper with 100% EPS beads filler. Spot Clean Only.